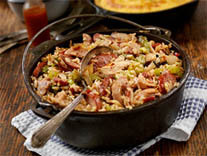 Made with Carolina Pride bacon, this fun-to-make treat features an irresistible combination of sweet and salty flavors. Melt chocolate in double boiler. 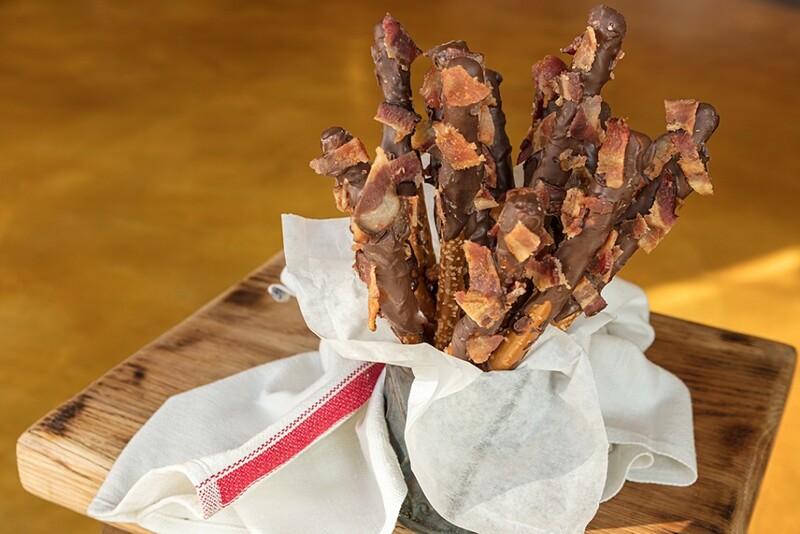 Dip pretzel sticks in melted chocolate and roll in bacon pieces. Place onto a cooling rack. Then place the rack into the freezer until chocolate is set.